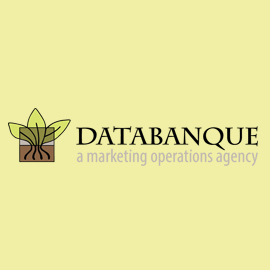 DataBanque is the leading provider of marketing operations services to manufacturers with complex sales channels. The company provides the critical back-office functions that make sure client marketing and sales programs deliver bottom-line results. By understanding a client’s market, prospects, and customers, DataBanque grows, nurtures, and serves actionable leads with precision, while tracking them through the sales process.